Jessica - The Newest Member to the sales team. 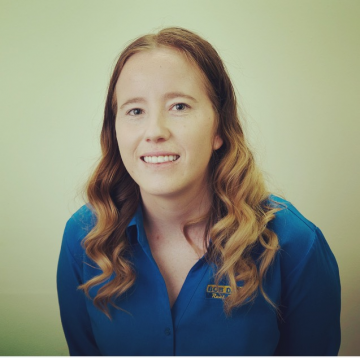 You may have recognised Jess Before who has been working at the front desk for just over a year, Jess has lived in the Wheatbelt area for 11 years completing her schooling in Northam. Real Estate had always been in her mind but she decided to go in a different direction. When the job opportunity arised close to home she took the chance and didn't look back. Jess will be working alongside Bob and looks forward to assisting people with all their Real Estate Needs. 3 Lots - 3 Titles - REDUCED! Character brick and iron home with polished floors and high ornate ceilings. 4 bedrooms and an upstairs loft, with a large stylish lounge, separate family room and modern kitchen, with large pantry. Bathroom with shower, small bath, vanity WC and a separate WC. B/G Pool, patio and veranda area, and neat rear gardens. On Site - 10:30am - 3 Bed 1 Bath Fibro/Tile Lock up Garage Rear Patio - Approx 1117m2 - Home Open Saturday 19th Jan 12 PM Conditions Apply. With long term tenants currently paying $220 P/W and The town of Northam Growing with Approx $250 Million being spent in the town Now is the time to invest!! Being a 1 Bedroom 1 Bathroom weatherboard and iron home with a large living area and modern kitchen with a gas cook top - vinyl flooring throughout - joint laundry and bathroom with a shower and vanity - solar HWS - Front and Rear Verandahs -9m x 8m Powered shed on a large block Approx 1080m2. Located on the high side of the street serviced by water, sewer and power - with rear access. Older style fibro/iron home. 3 bedroom with large sleep out. Gas cooking, gas hot water, rear patio, garden shed all in need of a good clean and modernising. Sold as is, where is - Be quick! Family Home plus land. Located approx 15 KM from Goomalling you Have approx 40 Acres of land with Approx 32 Acres being arable and is accommodated by a brick constructed home with with 4 large bedrooms ( 2 rooms having built in robes) two living areas with one having a wood fire and then an open plan kitchen ,dining, living area. with the kitchen featuring a old metters stove that helps heat the area. Bathroom with a Shower and vanity and separate toilet and laundry.